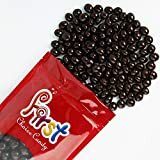 Save on Chocolate-coated Espresso Beans at Love for Salad. Top brands include FirstChoiceCandy. & FirstChoiceCandy. Hurry! Limited time offers. Offers valid only while supplies last. View more products in Candied & Chocolate-covered Snacks.